There’s an extra dose of magic to a trip to Paris in winter, when the City of Lights is lit up even brighter by thousands of twinkling bulbs. Each of Paris’ districts has something festive going on, from window shopping at the grand magasins and browsing the Christmas markets with a glass of vin chaud, to taking a spin on an outdoor ice rink and exploring a vintage funfair. 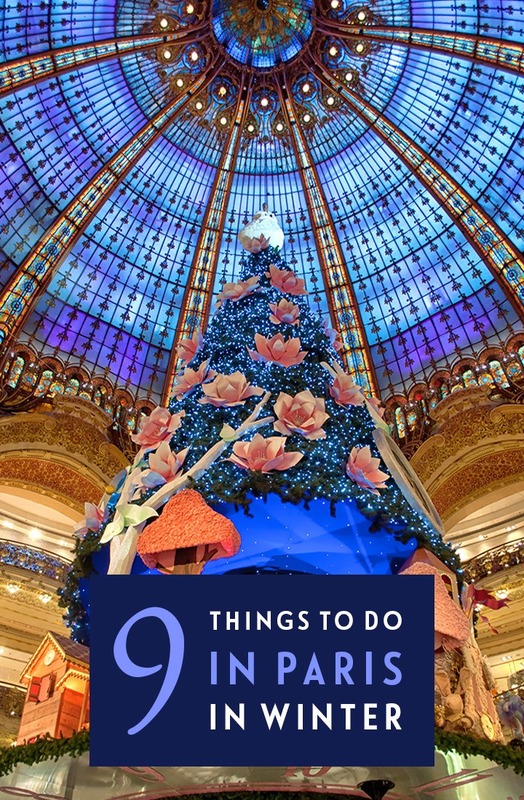 So dig out your scarf and gloves and join me for nine of the best things to do in Paris at Christmas. The weather in Paris in the winter months is usually fairly mild – average temperatures range from a high of 8°C (46°F) to a low of 3°C (37°F). It can get frosty at night though and there’s a fair few rain or sleet showers, so pack a waterproof or umbrella. But the city has plenty of cosy cafés, museums and things to do indoors so you can always find a warm spot to thaw out in. 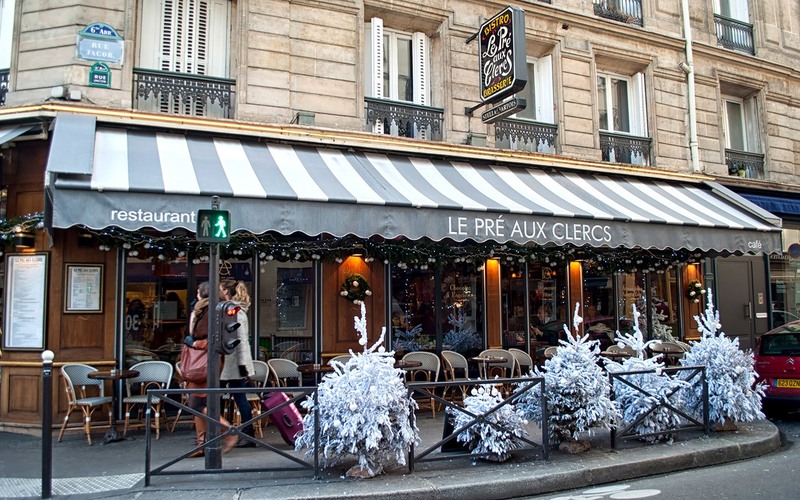 From mid-November, Paris gets decked in her Christmas finery. Trees are draped with twinkling lights and colourful decorations are strung across the streets. Most areas of Paris get an extra dose of sparkle for the festive season, but for the most over-the-top display head to the Champs Elysées. 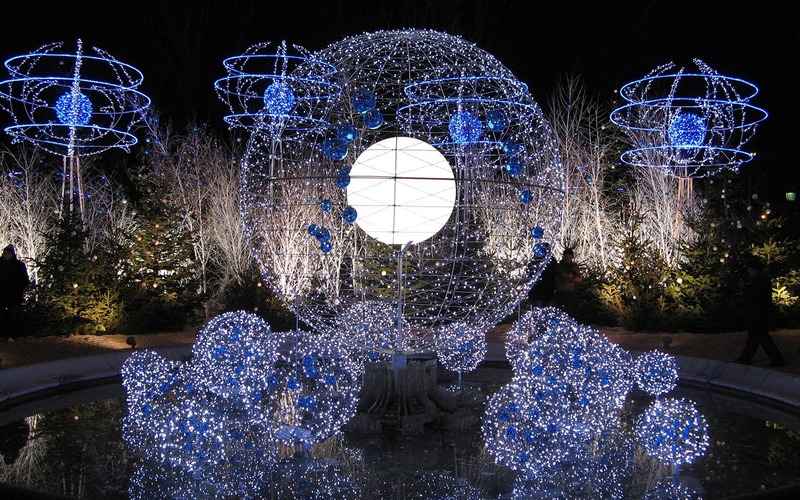 This year’s display is called ‘Scintillance’ and has been created by lighting designers Blachère Illuminations. It runs from 22 November 2018 to 8 January 2019. Boulevard Haussmann has gone high-tech with lights that you can change the colours and patterns of using a smartphone app (from 1 December). And other streets which go all out with the light displays include Rue Faubourg-St-Honoré with its chandeliers made by crystal makers Baccarat, Place Vendôme with its forest of sparkling pine trees, Avenue Montaigne and Bercy Village. There’s a city sightseeing bus tour showing off the best of the illuminations too. 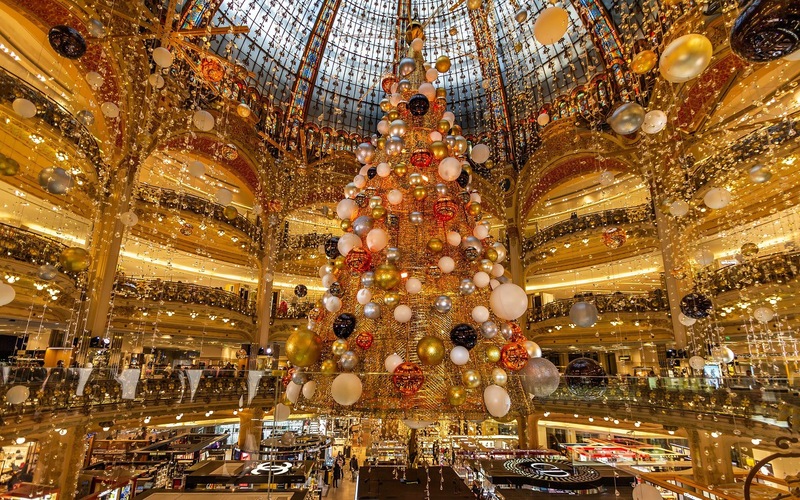 Paris’ big department stores dress for Christmas with some impressively festive store window displays. Each year’s decorations have a different theme – from Hollywood glamour to Beauty and the Beast. And they feature lights, animations, music, and plenty of snow and sparkle. The planning for next year starts as soon as the previous year’s decorations get taken down, and there are big celebrity opening nights each year when the new displays are unveiled. 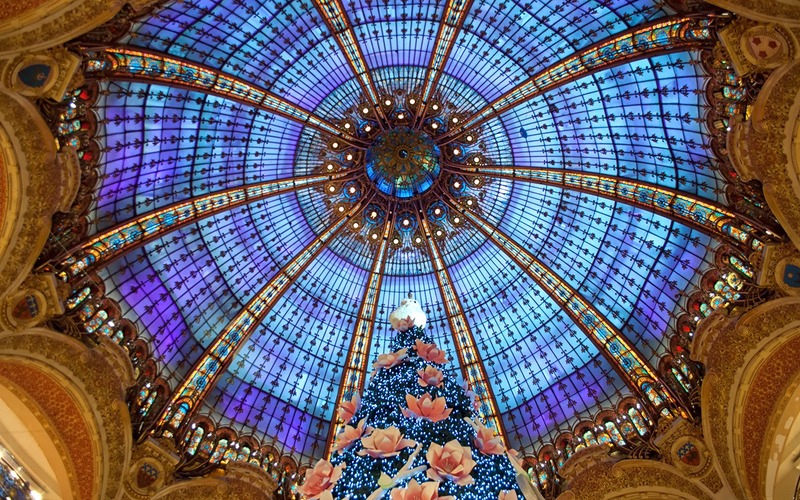 You find some of the best festive window displays at Galeries Lafayette – where there’s also a giant tree underneath the building’s central dome – and Le Printemps (both Boulevard Haussmann, nearest Metro: Chaussée d’Antin), Le Bon Marché Rive Gauche (24 Rue de Sèvres, Metro: Sèvres-Babylone) and BHV Marais (52 Rue de Rivoli, Metro: Hôtel de Ville). Since they started in Germany, Christmas markets have spread across Europe and beyond to become an annual festive tradition, and you find them in most cities – Paris included. 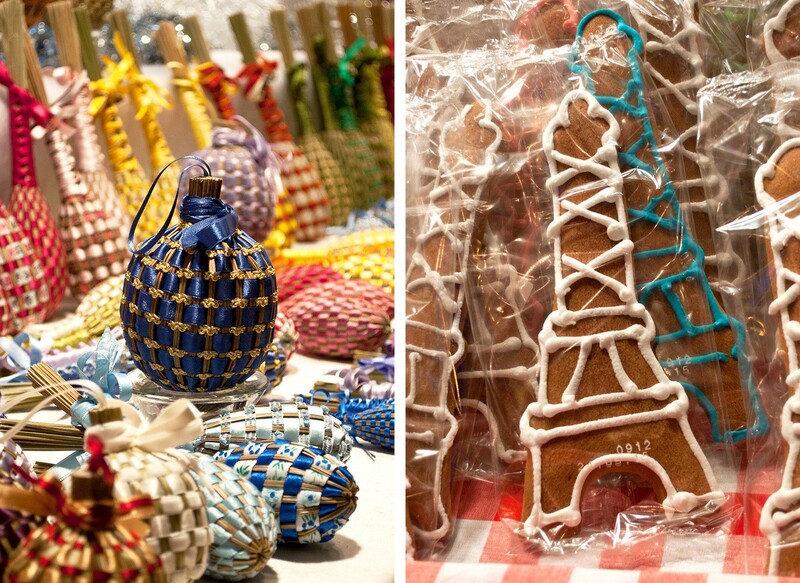 Fill up on festive treats as you wander around the wooden chalets, selling everything from handmade tree decorations and wooden gifts to cheeses from across France and Eiffel Tower-shaped biscuits. These ‘Marchés de Noël’ are held across the city during December. Paris’ biggest Christmas market is in La Défense, with over 300 craft and food stalls spread over 10,000 square metres. 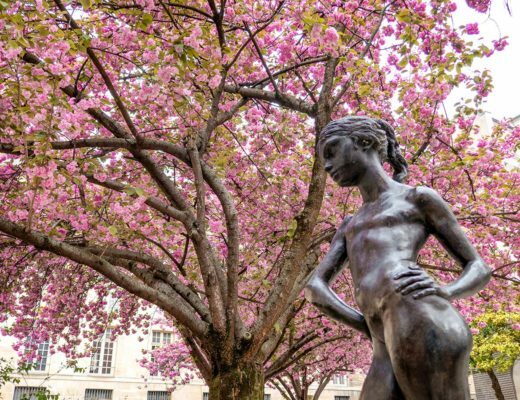 There’s also the ‘Starry Christmas’ market in Place Joachim-du-Bellay in Les Halles, and markets in the Tuileries gardens, Square René Viviani near Notre Dame Cathedral and at the Champs de Mars. There are a few specialist markets too – from vegan to Nordic and Japanese-themed. Check details online for opening times and locations. 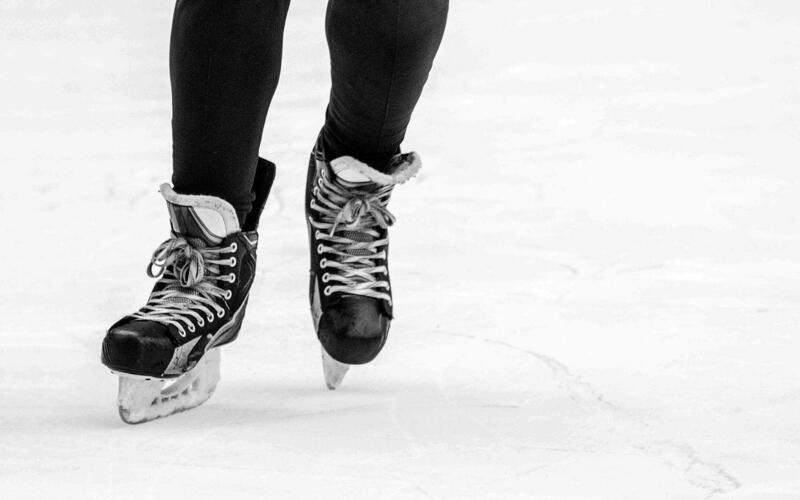 Try out your skating skills with a spin around one of Paris’ outdoor ice rinks. There’s usually a big rink outside the Hôtel de Ville – entry is free but it can get very busy so be prepared to queue. It costs €6 to hire skates but you need to bring your own gloves and thick socks. You can also ice skate underneath the Eiffel Tower at the Champs de Mars Christmas market. 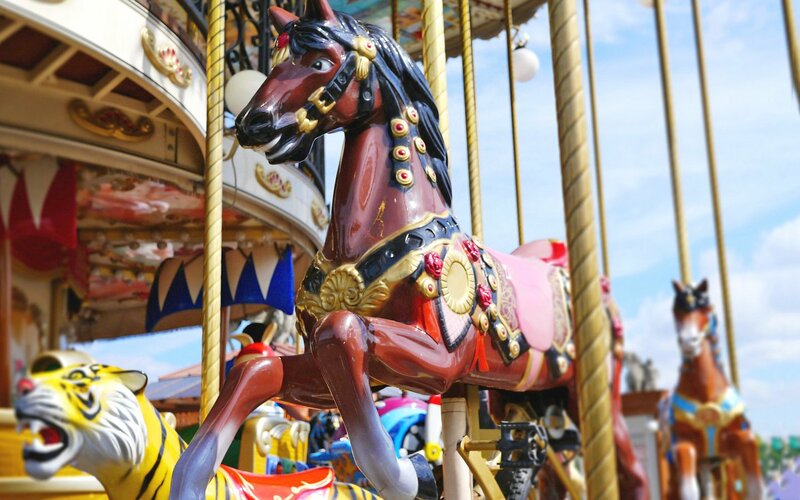 Go back in time with a vintage fairground at the Musee Des Arts Forains. This private collection of fairground rides and stalls dating back to 1850 is normally only open to visitors on guided tours. 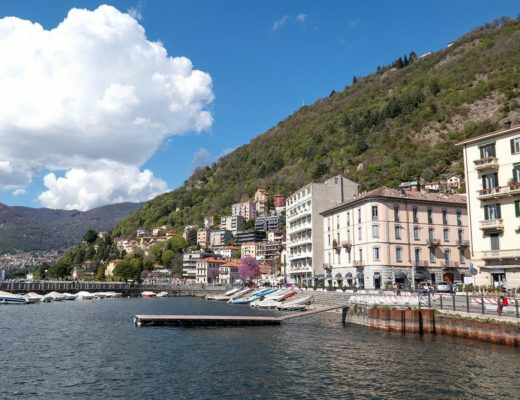 But from 26 December 2018 to 6 January 2019 it hosts the Festival du Merveilleux, with storytellers, magicians, musicians, dancers and puppeteers (entry €14 adults/€7 children). It’s also free for children to ride on many of the city’s carousels over Christmas. Some of Paris’ most atmospheric buildings hold festive concerts around Christmas. 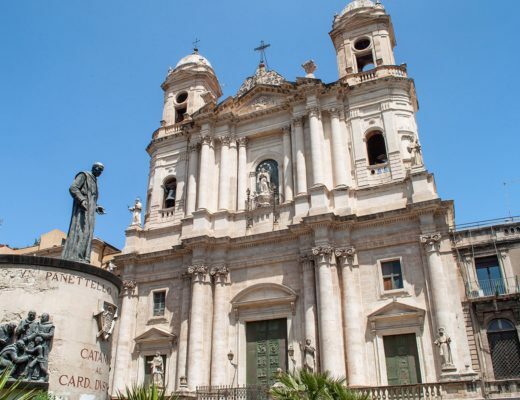 There are classical concerts in the churches at Saint-Germain des Prés, Saint-Ephrem-le-Syriaque and La Madeleine. There’s also a classical concert being held right inside the Eiffel Tower on Christmas Eve. 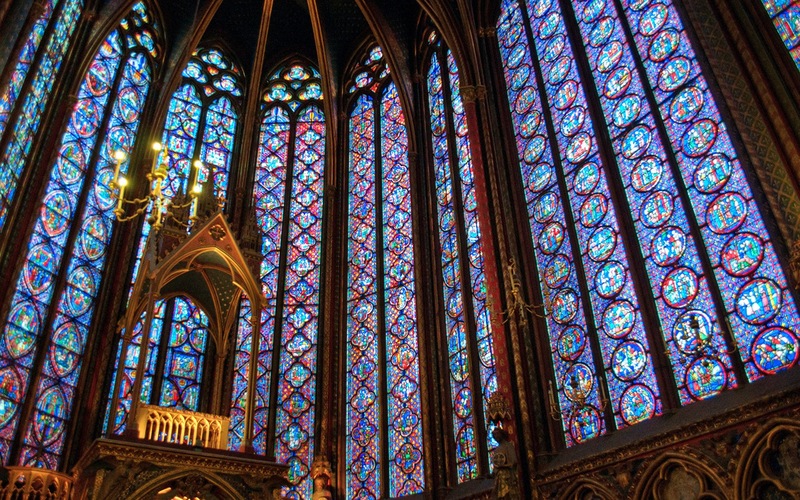 But most spectacular of all has to be Sainte-Chapelle. This Gothic chapel’s walls are made up of 16 huge stained glass windows covering over 600 square metres. When the musicians are playing and the light hits the windows and makes them glow, it’s magical. 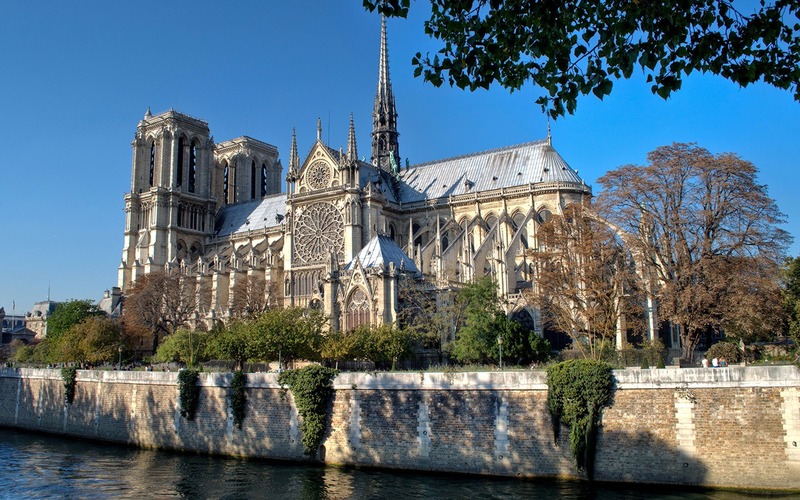 If you’re spending Christmas in Paris, there are services held in churches across the city. At Notre Dame there’s an international mass at 8pm as well as midnight mass. Or at Sacre Couer Basilica there’s an organ concert, sung vigil and midnight mass on Christmas Eve as well as several masses on Christmas Day. Both get busy though so arrive early and be prepared to queue. There are also English-language services at the American Cathedral in Paris. 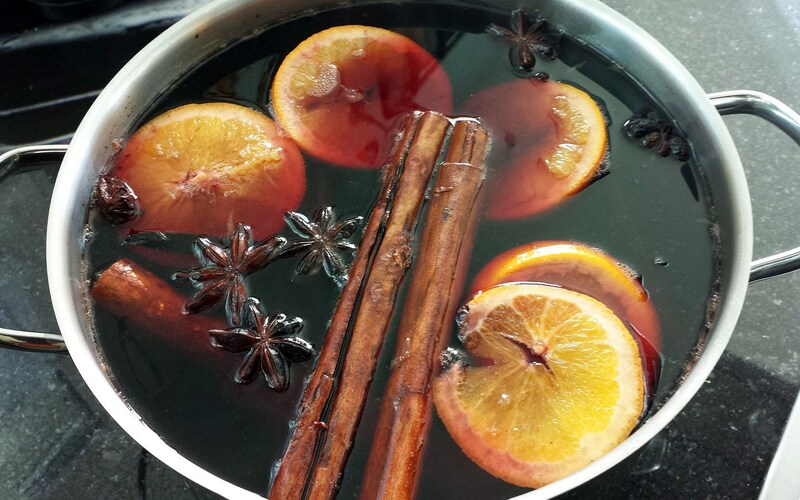 A steaming cup of vin chaud is a French festive staple. 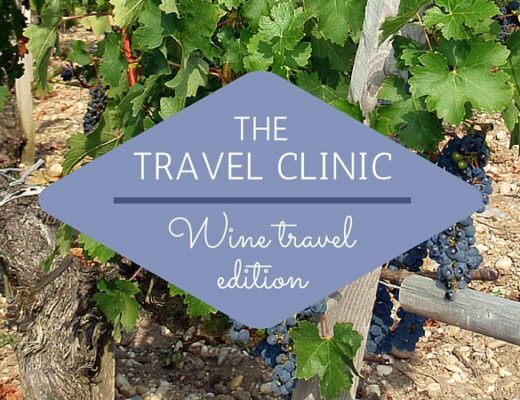 Dry red wine is mixed with sugar, orange and fragrant spices like cinnamon, star anise, cardamon and cloves to make a real winter warmer (sometimes with a extra warming nip of cognac). 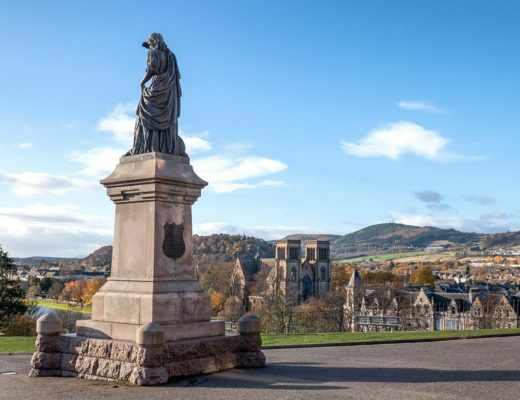 You can find it on sale in bars and cafés across the city as well as in the Christmas markets – it often comes in a special commemorative mug which you pay a few euros deposit for and can take home as a souvenir. 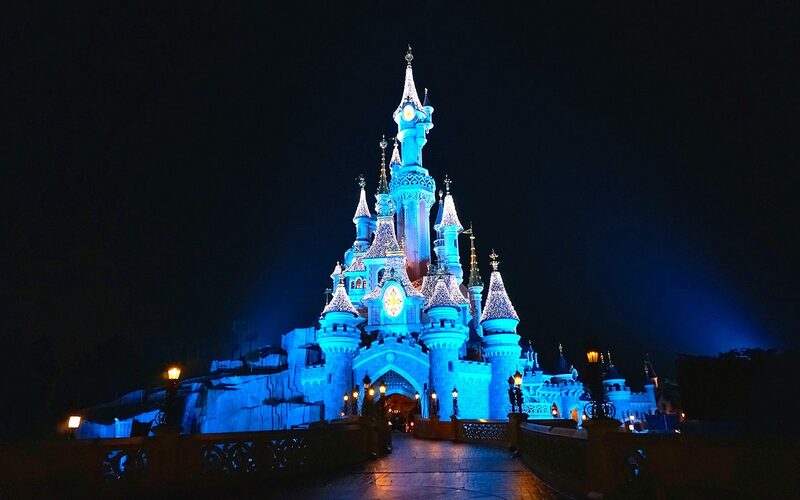 Celebrate ‘A Very Merry ChrisMouse’ at Disneyland Paris just outside of the city. Disney’s festive season last from 10 November 2018 to 6 January 2019 with Christmas shows and parades as well as markets, light shows and streets dripping in decorations. A day ticket costs £47 on weekdays or £70 at weekends. You can catch the Disneyland Paris Express from the Gare du Nord which gets you to the park for 10am and returns to the city at 9pm for a full day of festivities. So now I want to go straight back to Paris to soak up the Christmas magic! Always a good excuse for a trip to Paris! Thank you! I do love a Christmas market – guaranteed to get me feeling festive! I love Paris any time of year but agree it is extra special at Christmas. I went a few years ago. I remember having lunch at Galeries Lafayette on a balcony overlooking that lovely golden Christmas tree under the glass dome. Magic! Those decorations at Galeries Lafayette are really something special! 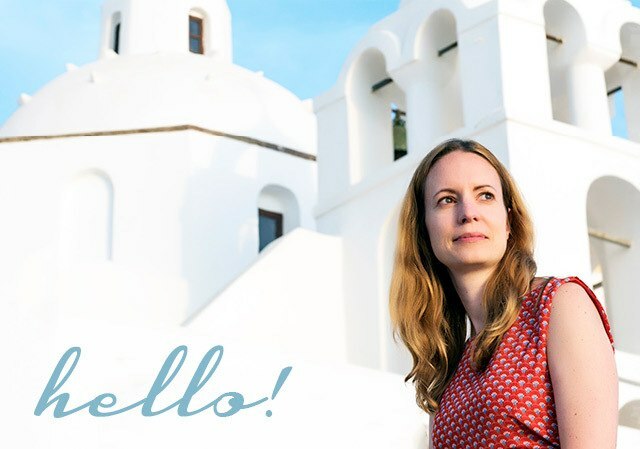 I’ve only ever been in the summer – it really does look magical at Christmas! 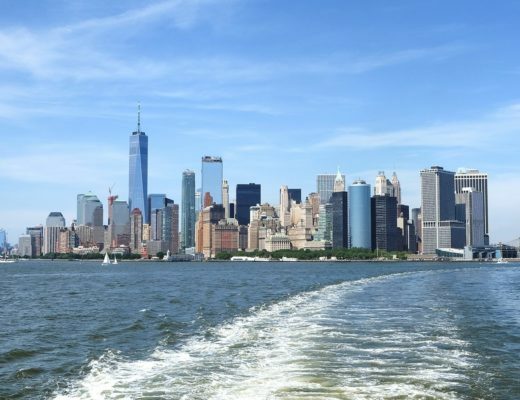 It does add some extra special sparkle – but there’s never really a wrong time to visit! Awesome recommendations! I need to go back to Paris now. I was in Paris in October 2017 when my bike guide said, “Look! They’re putting up lights for Christmas already. 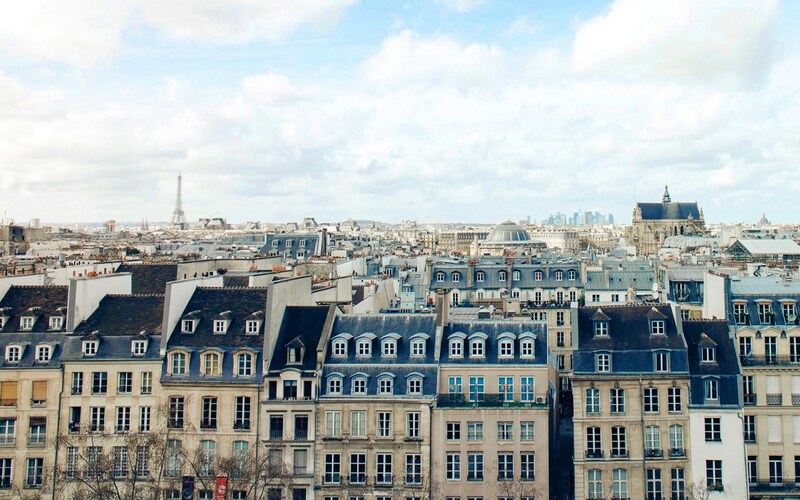 You should see the city then!” I was intrigue…so…I am returning to Paris In December to ring in 2020. I can’t wait! Thank you for the blog. Hope you have an amazing time, it really is magical at that time of year! Can you recommend a special restaurant for dinner on Christmas Day.